YWCA Spokane is calling for nominations for its 2018 Women of Achievement Awards. The deadline for submissions is Friday, June 22. For 36 years at this annual luncheon, YWCA Spokane has celebrated successful women in the community for their achievements along with their commitment to giving back. This year, the event will be held at the Davenport Grand Hotel on Thursday, October 4. Established with the goal of increasing community awareness and appreciation for the diverse contributions of women leaders in Spokane, YWCA Spokane has honored more than 200 amazing women in the region at this luncheon over the years. Nomination forms are available at ywcaspokane.org and should be completed and submitted via email to woa@ywcaspokane.org or by mail to 930 N. Monroe St., Spokane, WA 99201, Attention: Women of Achievement Awards. The HUB Sports Center is bringing the Play UnPlugged program to the Spokane Valley and Liberty Lake communities. In partnership with the Central Valley, East Valley and West Valley school districts, elementary school students will be encouraged to 'Play Unplugged' this summer and collect 'Brag Badges' from local businesses when they complete a designated activity. There are 38 different activities available so far for summer 2018. Each badge is worth a designated amount of 'brag points'. Students can strive for additional prizes by achieving various levels of brag points. 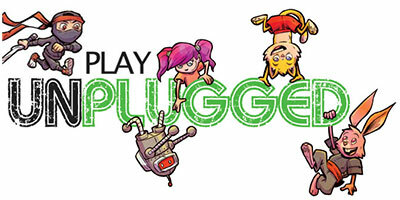 The website to see the activity list is www.weplayunplugged.com then selecting the 'Let's Play' button. The program runs from June 1 through August 31. The idea for Play UnPlugged originated from two Heber City, Utah fathers who wanted to help their kids avoid the increasing screen addition time youth are facing in today's society which can lead to obesity, poor social skills and diabetes. "Our goal is to provide the community with summer programs that would emphasize on kids unplugging themselves from video games, television shows, movies and event their mobile devices," said Play UnPlugged co-Founder Corbin Gordon. For more information, call the HUB Sports Center at 509-927-0602 or visit www.hubsportscenter.org. Hennessey Funeral Home presents Memorial weekend celebrations at 2203 North Division, this Sunday, May 27 and Monday, May 28 from 9 to 5pm each day. To honor our Veterans and our loved ones, the weekend includes The Bob Hope USO Andrews Sisters Revue, starring Tim Behrens' tribute to Hope's comedy, and our very own Andrews Sisters: Leslie Ann Grove, Pamela and Olivia Brownlee. Three Shows ONLY, Sunday, May 27 at Noon, and Monday, May 28 at Noon and 2pm. The recently remodeled Funeral Home also features Janet Ahrend on pipe organ, the Spokane Brass Works and a jazz trio starring Brent Edstrom and Friends. You can view displays from Honor Point Military and Aerospace Museum as well as Joe Bruce's NASA Space Display. The Hassie Club will present a classic and antique car show and Nostalgia Magazine will be there showcasing Spokane history. Admission is FREE, and there will be plenty of coffee, punch and cookies both days. Join KHQ and Worksource for their 5th Annual Job Fair this Thursday, May 24. With over 100 employers and many jobs available, job seekers will have a chance to meet with potential business owners. The event will be held at the Spokane Convention Center. Hours are 11am-2pm. Bring a resume and dress for a possible interview. Admission is free. 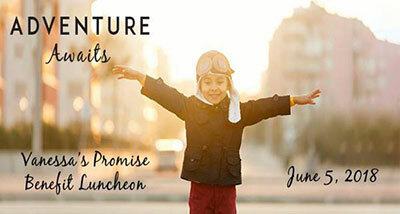 This year's Vanessa Behan Promise Benefit luncheon will be held on Tuesday, June 5 at the Davenport Grand Hotel. Doors open at 11:15am and the program will begin promptly at noon. While it is free to attend the event, there will be an opportunity to support the Nursery during the lunch. The cost of the luncheon will be covered by generous sponsors, so every dollar raised at the event will go directly to supporting the mission of the Vanessa Behan Crisis Nursery. Registration deadline is Thursday, May 31. To register and for more information, visit www.vanessabehan.org and go to the events page. Sponsorship opportunities are available. The Vanessa Behan Crisis Nursery helps parents who are having difficulty providing safe shelter and care for their children. They may be dealing with issues as complex as substance abuse, domestic violence and homelessness. Spokane SCORE Chapter 180 presents this week's workshop, Small Business QuickBooks Financial Management, to be held this Wednesday, May 23 from 8:30am-12:30pm. A QuickBooks expert will guide you through using QuickBooks as a bookkeeping and financial management tool. Learn tips and shortcuts, and learn the keys to financial management, along with resources and financial management practices. This workshop is especially valuable for those who are already in business.